The internal audit committee reported on the roles, finances and activities it was engaged in within the South African Social Security Agency (SASSA), and indicated its main role was to provide oversight and advice to management to ensure that they evaluated and put measures in place to close gaps in their systems. If there were high risk areas, the auditors evaluated the inefficiencies and provided recommendations. The internal audit unit also looked at the reliability and integrity of financial and operating information. The committee was independent of management, and worked hand in hand with the Auditor General to ensure effectiveness and efficiency. The Department of Social Development presented its mid-term performance report for the first two quarters of the 2017/18 financial year. During the first quarter, it had planned to achieve 88 targets, but had managed to achieve 65 targets, partially achieved 11 and not achieved 12. During the second quarter, there had been a decline in performance, with only 66% of planned targets achieved, compared to 75% in the first quarter. Members raised concerns with regard to the non-achievement of targets in the second quarter and the continued repetition of the same mistakes. The major issues of concern were on the absorption of social work graduates who were unemployed, the non-compliance of non-governmental organisations (NGOs), non-alignment of information, and the lack of disciplinary action against people who were not performing their duties. The Chairperson welcomed all the invitees, including the South African Social Security Agency (SASSA) audit Committee and internal audit committee members. The programme was to conduct oversight over the quarterly report on service delivery programmes and to check if the financial management was sound. The Chief Financial Officer (CFO) would introduce the team so that she could specifically welcome the them and allow them to portray their role. Ms Hendrietta Bogopane-Zulu, Deputy Minister of Social Development, said that although the Chairperson had given the CFO the floor, the Committee should first address the concern that it had over her absenteeism. The Committee had been complaining about her absence, but now she was present but was not being acknowledged. The Chairperson told Ms Bogopane-Zulu that her absence was not an issue that had been provided for in the agenda programme. The Deputy Minister said that it had been wrong for the Chairperson to ask the CFO to speak first, without acknowledging her. This was what made some ministers feel like they did not have to come to Committee meetings every week. The Chairperson, in her opening remarks, had commented about her absence to the Committee. The Chairperson told the Deputy Minister that the Committee was not the Cabinet, and therefore the Chairperson could not be overruled. That was an order. Ms V Mogotsi (ANC) asked the Committee to break and have a meeting on this issue. It would be fair for the Members to meet, as they were worried that they would not have a meeting today. Ms H Malgas (ANC) said that when the Chairperson made an order, it had to be accepted. People could not come to the meeting and override the ruling of the Chairperson. Ms C Madlopha (ANC) said the office of the Chairperson must be respected. If the Deputy Minister had a concern, she should have raised it before the meeting. She should espect the Chairperson and follow the procedure and the programme. The Chairperson said that the Deputy Minster’s absenteeism was not catered for in the programme. It had been forwarded to the Whips of the structures in Parliament, because Members had decided it should be done that way. There was no point in having an agenda when something could be brought in without it being on the agenda. The Committee was not going to let the Deputy Minister speak. She was giving the time to the CFO to speak. The Deputy Minster complained that her absenteeism was being reported in the newspapers. Ms Mogotsi said that the Chairperson should have acknowledged the Deputy Minister, because she was the leader of the delegation. However, discussing her absenteeism was not part of the programme of the day. Ms Bogopane-Zulu said she felt like she did not have status in this Parliament, and left the Committee meeting. Mr Clifford Appel, CFO: Department of Social Security, said audit committee was appointed by the Minister, and was made up of external people who were not employees of SASSA , and the chief executive officer (CEO) had to play an oversight role. The committee normally met on a quarterly basis. Ms Thandi Sibanyoni, an executive within SASSA in the internal audit and internal risk management department, would be taking the Committee through what their objective and role within the organisation was, and their relationship with the Auditor General. The internal audit committee was established in terms of section 51 of the Public Finance Management Act (PFMA) within SASSA. Its role was to provide oversight and advise management on a number of key areas, and was an independent activity within SASSA. It assisted management in evaluating their controls by making sure that they evaluated and put measures in place to close gaps in their systems. This helped management to achieve their objectives by addressing weaknesses in the systems. This was done through a systematic approach. There was no random audit. At the beginning of every financial year, there would be audit coverage plans developed, which were informed by risks to SASSA. Firstly, the auditors do a risk assessment, together with the management, and identify issues that might need the internal audit’s attention, and then develop a plan. If there were high risk areas, the auditors evaluated the inefficiency and provided recommendations to address the weaknesses. The internal audit focused on three areas. It did risk management to assist management to identify risk and look at the controls that exists to see whether they were adequate and efficient. It also checked if SASSA had the governance processes in place to make sure it was correctly managed and correctly directed towards achieving its set objectives at the end of the year. The internal audit looked at the entity’s compliance with policies, procedures and legislations. To what extent did the organisation comply? Sometimes there was a policy that did not facilitate service delivery, so internal audit would look at the policy and recommend amendments to resolve the service delivery issues. It also looked at the reliability and integrity of financial and operating information. As reports came to Parliament, the role of internal audit was to audit that information before was submitted. It did not only look at the financial statements, but also at performance. It also considered the effectiveness and efficiency of operations. SASSA might sometimes have policies and processes that served their purpose, but were very inefficient in the process. The auditors checked if services were delivered in a cost effective manner. Internal audit also looked at the processes that sought to safeguard the assets of SASSA -- not only its physical assets, but also intangible assets like software. It reviewed the information system environment by auditing it. The overview of the audit committee structure was centralised at the head office, but formed part of the internal audit and risk management department. This had been done to try to keep it as independent as possible. Sometimes, if there was a risk in a particular place, an internal audit unit was located within that region to do their audit. However, it also provided auditing to all the regions. This was informed by the risk register form. The assessment was conducted together with the management to decide what the high risk areas were that might need the attention of internal audit for evaluation. The internal audit unit had a staff complement of 26, which included 20 contract workers. It reported to the audit committee. All department were required to have an audit committee that met on a quarterly basis to compile an audit summary report of all their findings. The committee used that information to form an opinion about the systems of internal control within SASSA. The internal audit unit had an annual budget of about R22 million, which also catered for the work that was done in the regions. Its functions covered performance, regulatory, financial, compliance and information technology (IT). Internal audit worked hand in hand with the Auditor General. It should be understood that as the unit was a component within SASSA, it was not possible to achieve the same level of independence as that of the AG, because administratively it reported to the CEO, and then functionally to the audit committee. For the day to day running, the internal auditors were accountable to the CEO, so it was not possible to maintain complete independence. The AG ensured the independence. On service delivery benefits, the audit committee was involved in the day to day processes. In the previous year, the audit committee had relied on the internal audit from SASSA for asset management, in order to verify if the assets that were on the asset register corresponded to the assets that were on the floor. Therefore, the AG had been relying heavily on the internal audit unit for that work over the year. The internal audit unit was independent of management. It provided advice to management by doing audit reviews and giving recommendations. However, it did have responsibility for the implementation of court judgments. In complying with court judgments, it could decide to do probity audits, which meant deploying someone to work with management throughout the processes to pick up anything that might lead to non-compliance or inefficiency, and immediately advising management instead of waiting until the end to pick up what had happened already. The internal auditors had introduced the concept of a probity audit to actively engage with the supply chain process as it unfolded. It did this by being involved in the supply chain process to start picking up issues, and if there was a need to intercept the process, there could be an interception indicating that the process was not going according to plan, and that it might lead to litigation. Some of the projects that the internal audit had undertaken this year included a focus on high risk areas. However, there were areas that had to be audited because they were mandatory, such as the audit of financial statements before submitting them to the AG. There was a quarterly audit of financial information for reliability, accuracy and completeness. Other audits included lease management, because it was of concern to management, particularity on repair and maintenance, software, assets management, software management, and antivirus management contract management. Members were aware of the huge debt book that had accumulated over the years because of the partnership that SASSA have with the Special Investigating Unit (SIU). On a monthly basis, internal audit had a project to continuously identify and verify any exceptions in the Oracle system. Sometimes one would find that there was an invoice in the system that had been captured before an order was issued. The auditors would pick that up as an exception, using Audit Command Language (ACL) software to help it to identify if those exceptions were accurate or just a typing error. Internal audit also did audit of financial misconduct based on fruitless and wasteful expenditure. A current assignment, as SASSA was approaching the financial year end, was the audit of the interim financial statement, looking at subsistence allowances, travel and accommodation, and social relief of distress. The reason why internal audit had picked these areas was because there were concerns. SASSA had a lease for every office it was occupying as an organisation, and a concern was the level of inefficiency in the manner in which leases were being managed. There were no electronic systems to manage leases. It becomes a challenge for the AG to select samples of leases, since there was no centralised system to manage them, which was a problem. There had been non-compliance with a Department of Public Works (DPW) requirement that the SASSA internal audit unit negotiate leases within the prevailing market rate. The tenants could extend leases that ran for five years without testing the current market value. This was an area where the internal audit unit could make some improvements in the manner in which leases were managed. On the annual performance information, there was no alignment with what SASSA was reporting and what had been planned as a target. Identifying irregular expenditure was a financial function of SASSA that was decentralised. It was difficult for the CFO to pick up the procurement issues that were happening in the district offices. SASSA was not doing well in information communication technology (ICT) governance. There should be a governance structure set up to manage its ICT and to track projects. The structure was not working well. In the area of remuneration, the committee was structured among the high level of executives. Some of SASS’s software was outdated, and that could render its systems vulnerable to hacking. Recommendation had been made, as there was much software that resulted in inefficiency. The risk identified what might affect the delivery of services. The biggest risk was that SASSA might fail to pay social grants. There was a possibility of not appointing a cash service provider by the end of March to take over from Cash Payment Services (CPS). There was an argument in court for an extension of the phase-in, phase-out of CPS for a further six months. The court’s judgment was still pending on whether it would give the extension or not. However, there were contingency plans in place. SASSA might take over. The internal audit unit might not deal with all the risk, but may minimise the impact of the risk that materialised. The contingency plan was going to apply to approximately 2.5 million beneficiaries who would receive their money in cash. There was a risk of non-compliance with the Constitutional Court. The Court had said that there should be non-interruption payment of social grants, hence there was a plan in place. SASSA was in-sourcing the function. There were discussions that had already started with labour about the enrolment function provided by CPS, that by 1 April the service should be provided by SASSA. Ms B Abrahams (ANC) said that the report was very negative. On high level findings, there had been no compliance. Was SASSA competent enough to do the work? How were the consequences managed? On irregular and fruitless expenditure, disciplinary action had not been executed by the regions. Ms Madlopha (ANC) said the problem was at the regions, not at the national level. The question was, did SASSA have any mechanisms to deal with these challenges? There was no alignment between what had ben reported and the target that it had achieved. Were the findings of the AG being implemented by the Department? What were the consequences for those who did not perform their duties and adheredo the finding of the AG? Ms B Masango (DA) said only the high level findings had been presented, and the report was not nice to read. What were the low level findings? What had the internal auditors done to ensure compliance? Ms Mogotsi said that the Committee had been late to call the internal audit unit to come and present on its oversight role. The issue needed high level officials and the Minister. The Department had identified the risk for four years, they had not controlled it. Mismanagement and the escalation of fees had cost the Department millions. There was no memorandum of understanding. There was no alignment in the annual performance plan (APP) with the report published to the public. SASSA was a problem. If the court did not approve its request, there would be dire consequences. There would also be fraud in the system. Changing the conditions of employment would raise concerns. There would be turmoil in the country if SASSA did not do what it was supposed to do. Chairperson said that the Committee had been given reports, but the main implementers were not available. Ms Malgas said that she was concerned that the executive had not been available to account. Due processes had to be followed. . The Chairperson thanked Members for their input. The executive authority had already left. This information had been handed to the Committee to act on. She was extremely surprised by the information about the Eastern Cape. All the provinces should be called to the Committee to answer for themselves. Due diligence had been done, findings had been recorded and documents had been handed in. The incidents in Gauteng, where a whistle blower was missing, and in North West, where an official was suspended for refusing to do the wrong thing, were of great concern and needed the Committee's attention. 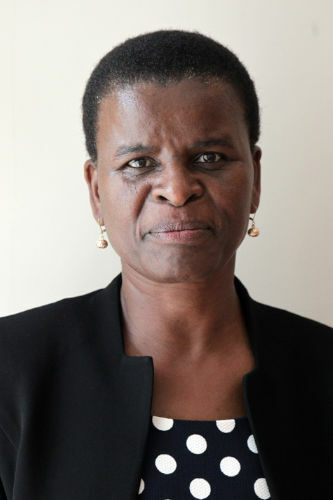 Ms Sibanyoni said that the comment on information-sharing was noted. With regard to lease management, it was very tricky, because the Department of Public Works was involved since they extended the leases. Management had to prompt the Department that their action was costing SASSA a lot of money. Corporate services had taken an audit of all the leases to try to identify where SASSA had those leases, or if they had expired. The Northern Cape had started negotiating some of the leases, and had realised some saving. There had been no time to present the action plan. The issue of employees’ competence would be brought to the attention of corporate services. There was a debate going on regarding disciplinary action related to irregular and fruitless expenditure. Most of the cases where SASSA had to take disciplinary action involved fruitless expenditure. SASSA had recently been challenged by the high court in Pietermaritzburg about its action of making people pay. It was not in line with legislation, because one accused someone of having committed fruitless expenditure and therefore had to pay, one could not take further disciplinary action. On the other hand, there was a court judgement that had challenged section 38 of the PFMA, that was found to be inconsistent with the Constitution. Section 38 says if there was over payment on committed irregular expenditure, this must be recovered from the particular individual responsible. Legal services was still looking at the court judgment. With the high court judgment, SASSA was still looking on how it could amend its policy to be in line with the concerns raised by the court. With regard to the risk register, she agreed with Ms Madlopha that there should be a plan. There was a phase-in, phase-out, together with the contingency plan. If the court ruled that CPS could do the phase-in, phase-out, that would allow six months. If the court ruled against this, the contingency plan would kick in. When SASSA came to present, they would reveal the contingency plan that they had developed with the SA Post Office (SAPO). On the APP, some of the audit assignments were mandatory, like the audit of performance information. This had been done before printing. Before the annual report was printed, it was sent to the internal audit to do proof read the final version. The chances of incorrect information being printed were reduced, unless there was a mistake in the audit. The Chairperson said SASSA’s documents were not up to standard. It had told the court that they did not have a contingency plan. This matter was a violation. The Committee was an extension of Parliament. The Minister of Social Development was in a critical Cabinet meeting, which was why she was not present at the Committee meeting. She was a new Minister, and needed to receive reports. Ms L van der Merwe (IFP) supported the Chairperson. The chief justice was very annoyed about the current state of affairs. Getting information in a report, and then having the information changed on another platform, was misleading Parliament. The information had been changed in the Constitutional Court. This did not help the Committee in doing its oversight. Misleading Parliament was an offence, and the Committee must register its disappointment. The Chairperson said arrangements should be made with the regions on high level oversight. Next time, when the Committee called the internal auditors, the Minister and the regions must be invited to account on the high risks. Ms Mogotsi said the Department must assist the Committee on the case of Noma Kunene, a social worker in Gauteng, who had been missing since 26 February. She had been a whistle blower regarding a R5 million issue involving non-governmental organisations (NGOs). The issue was in the media, and the public wanted justice for Noma Kunene. With its oversight role, the Committee could not fold its hands when a young woman was missing. The Department must provide information about what was happening in the case. Last time, the Committee had not gone deeply into the issues of the NGOs. The Chairperson said the Committee should issue a statement expressing its concern. The Department would have to come and brief the Committee on the matter. If there were pressing issues, the Committee could visit the particular area. Employees were getting victimised. The missing person was the Committee’s responsibility. Mr Mzolisi Toni, Acting Director General, Department of Social Development, said the Department would engage with SASSA to get information on what had been raised. It would handle the information and risk management in its unit. Regarding Noma Kunene, the Department would follow up on the matter and would provide the Committee with a report next week. Mr Thabani Buthelezi, Chief Director: Monitoring and Evaluation. presented the financial report for the first and second quarters of the 2017-18 financial year, and Mr Appel, CFO, presented the expenditure report. In the first quarter, the Department had fully met 75% of all the targets it had set for itself, and only partially met 10%, with 15% not achieved. In the second quarter, there had been a notable decline of about 9% when comparing it with the first quarter. The larger proportion of the money went to targets that were not met, as 17% were partially achieved and 17% not achieved. The trend of performance achievement was expected to improve in the subsequent period. Mr Appel said that by the end of the second quarter, the Department had spent 49.4% of its budget. The Department had spent 42.2% of the budget on compensation, and 36.3% on goods and services. The reason for the under-spending was due to programme that the department had with the Department of Education and Training (DET). The major under-spending on transfers was because of the activities that would occur in the third and fourth quarters. 43% of the budget was spent in sub-programmes. The overspending on the Ministry was because the Department could not get a correct budget allocation for the Ministry, and more money was moved into programme 1 as a whole during the adjustment. Major underspending in corporate services was due to payment that would be processed in the fourth quarter for services rendered by the State Information Technology Agency (SITA). The spending on internal audit was mainly about filling vacancies in the audit unit. 49.5% of the allocated budget was spent. These were mainly grants. SASSA should explain why they had underspent in these areas. 47% of the allocated budget was spent. The low spending on appeals and adjudication was due to a reduction in appeals. There had been no payment to the panel members who sat on appeals and no spending on training new members to fill vacancies. There was huge under-spending with regard to transfer payments, which would be paid later in the year to foreign agencies. 44.6% of the allocated budget was spent. The main spending on substance abuse was on treatment centres, and transfers were paid to one province to start operating a substance abuse centre. The under-spending on older persons had to do with activities that would occur in the second quarter. The 41, 81% spending on youth was mainly on build up activities that would happen in the third quarter. The social Wwork scholarship had gone to the National Student Financial Aid Scheme (NSFAS). The low spending on HIV/AIDS, was because of transfers to the SA National Aids Council (SANAC), which would be made in quarter 4. 53, 5% of the budget had been spent. The National Development Agency had transferred many of its activities in the first quarter of the year. Substance abuse under-spending had to do with the Central Drug Authority board’s annual printing of their reports. 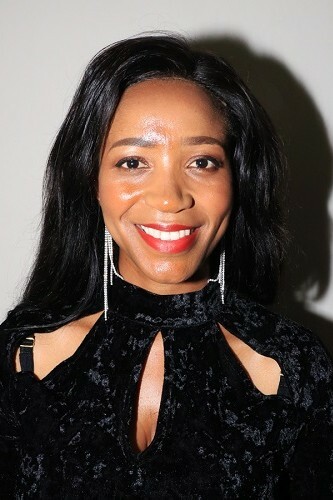 Ms Madlopha appreciated that there had been an improved performance in the second quarter, although there had been a decline in other spheres. She pointed out that the programme performance information showed discrepancies on the targets achieved against the APP, compared to what had been presented. The non-achievement of targets was of concern. When a Department sets targets, they should first evaluate their financial and personnel resources, and base their targets on that. It should not report it was unable to meet its targets because of a lack of financial and personnel resources. What plans were in place to deal with incapacity problems, because there must not be the same incapacity in the next financial year. What were the consequences for service providers who failed to meet deadlines in the Department’s agreement with them, and the imposition of a “penalty clause”? The delay in appointing service providers was delaying job creation, and small businesses were affected. What were the causes of delays, and who was responsible? What were the consequences for those who failed to meet targets? The AG had raised concern about the lack of payments within 30 days of receiving invoices in the previous financial year -- when would the Department implement the AG’s recommendations? Were there any measures that the Department had put in place to correct the problems? Ms Masango asked for an explanation of the targets relating to the actual number of people served by SANAC. She was also concerned about the need to ensure the absorption of social workers, and about the stopping of the scholarships. More information was needed on the training of non-profit organisations (NPOs), disbursed subsidies, NPOs that had not complied, and those that had been compensated. Ms K de Kock (DA) sought clarity on three issues – the decline in the disability grant, what the maternity benefit would include, and the Early Childhood Development (ECD) conditional grant. The money went to the child directly, or went towards the Expanded Public Works Programme (EPWP). There needed to be an increased focus on the value of targeted activities’ impact and purpose. More workshops were needed. The Chairperson raised concern about the same issues not achieved being repeated in the reports. The documents did not take into consideration what had been said last year. She was frustrated about NGOs continuing to receive funds, despite not being in compliance. Ms Malgas raised the subject of targets not being met, particularly in individual programmes. The presentation had been based on a cut and paste from previous reports, especially on expenditure and individual programmes. The annual report on HIV and Aids was also a copy and paste job. Ms Van der Merwe (IFP) said a partially achieved target was not an achieved target. A target was either achieved, or not. What were the consequences or penalties for non-performing service providers? Did the Department charge them? In the strategic priorities, the missing programme was gender-based violence. A Cabinet review had said that the Social Development Department should lead on the issue, since the Department of Women in the Presidency did not have the capacity to deal with this issue. The Department must take part in reviewing the gender-based violence plan review. She also mentioned that the report did not list the number of children in the system who had been were adopted, and who were not adopted. The Chairperson commented the report did not include all the issues that had not been achieved. Money in the social work employment grant had not been spent in quarter 4, and she wanted an explanation. It did not include explaining what was going to be achieved, but it gave other achievements. Let me ask the content advisor: “National treasury document talk about social employment grant of 181 million that was allocated and but there was no expenditure because there was a strike in the first quarter that money was only spend in the second quarter. The social work bursary money would be used for absorption as per the minister mentioned. Ms Vilakazi said that on capacity building and training of NPOs, the Members should look again at the legislation, because section 38(1)(J) said that before one gives entities funds, one must ensure that they would be in a position to manage those funds accordingly. One can not give them funds without ensuring that they use them for what was intended. Those NPOs must be in compliance with the NPO Act. They were registered in terms of the NPO Act, and they must be in compliance of the PFMA. The PFMA says that the Department needs to support them, so they were claiming that they must be supported. Ms Nxumalo referred to the social work scholarships, and said the Department had stopped taking new students for this financial year. A grant of R181 million from Treasury had been used to appoint 566 graduates, who had been employed in the provinces and were currently working. The grant allocated in the MTEF was being used to sustain their salaries, as there was no additional money from Treasury. The money that the Department got from Treasury was being used to sustain those who were in the second, third and fourth year of their studies. 4 840 were still in the pipeline studying, adding to the 3 800 the DG had been talking about. The Chairperson lamented that the Committee needed the information excluded from the presentations, since it could not continue planning for failure. The problem of unemployed and upcoming social workers was an obligation to the budget of the department to employ new social workers and to pay for their pension and medical aid. Ms Vilakazi said that the challenge was that the Department had been going to report on the two quarters. The report was aligned based on that was planned for quarters 1 and 2, and this area was not covered because the same matters were in the MTEF outcomes. The argument was that you had 4 000 social workers out there who were unemployed, while you had R181 million to use. The Department had to confine and plan its work around the budget that was available. It had to plan and re-prioritise, based on a given budget. The Department welcomed the workshop. Mr Toni said that the issue on disability was around terminology. As government, South Africa had an agreement at the international level, which was the United Nations Convention on the Rights of People with Disability. SA had agreed to what was called the International Disability Alliance (IDA) and Disabled Peoples Organisation International DPOI, and that the terminology we were using at that level was “person with disability.” These were people who had barriers that limited them from participation. On the question raised about the policy on the rights of people with disabilities, South Africa had to respond its UN obligations, which had resulted in the domestication of the UN convention. This had been done through the White Paper on people living with disabilities. he sector of people with disability had been engaged when the White Paper was concluded in December 2015, as agreed and approved by Cabinet and launched by the President with peoples with disability in March 2016. The White Paper was available and accessible in all formats for people with disabilities. The national Department was not responsible for implementation, but had marketed it with national organisations. The Deputy Minster had been told to engage the provincial executive councils. What was of concern was that the policy had to be implementable. The Department was developing instrument. There was an issue that children with severe disability were not able to participate in ECD centres and schools. Some instruments were being developed that would enable implementation of inclusive schools and integrated ECDs to ensure that role players effectively implemented the White Paper. A report was submitted and approved by Cabinet, and a baseline report was sent to the UN in 2013. The organisations in South Africa had submitted their shadow reports in 2013, and a reply was expected around July. The Chairperson said that the CFO would know that the Committee had indicated what should be done for community development. The Director General had been told to visit communities or people who were providing services to encourage them, particularly those who had access to rivers and dams. She commented on the poor administration of food centres. The money could be diverted to other programmes. Ms Vilakazi said that there had been a question on ECDs and some issues on adoption that the officials had noted but had not answered. Chairperson replied that adoption was an outstanding issue for the Committee to engage on, but there was not enough time. Ms Madlopha said that the questions which were not answered must be answered in writing. The Chairperson asked for the Committees researchers to do their findings and identify areas where they disagreed with the Department. Ms Van der Merwe agreed it would be helpful to have answers in writing, and get some indication on domestic violence and an integrated plan of action about where the Department was at this moment.